When first established in 1786, the city was the first capital of Tennessee. The town experienced geographical isolation in the early 19th century. The construction of the railroad in 1855 led to the economic boom for the city. During the Civil War, Knoxville was occupied by both Confederate and Union armies. Later on, the town started developing as a wholesaling and manufacturing center of the whole state. However, the city experienced a significant manufacturing collapse, which was accompanied by the downtown area decline and the beginning of partisan political fights between city leaders. 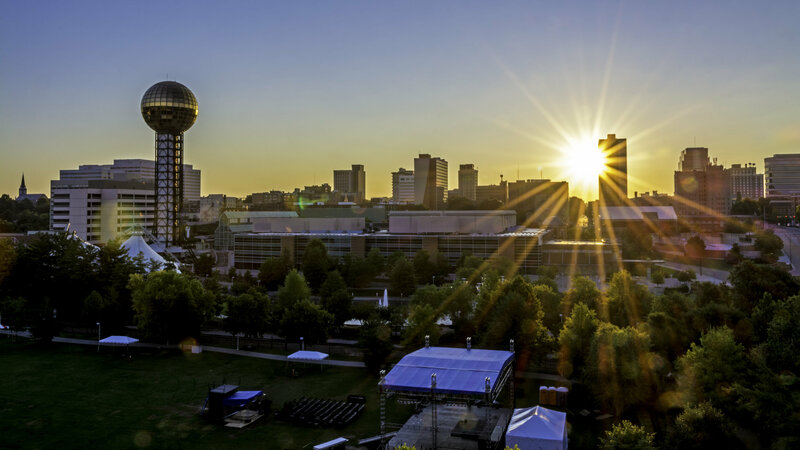 The 1982 World's Fair managed to resolve the situation, and the Knoxville International Energy Exposition created initiatives by city leaders and private developers to renovate the city, especially its downtown area. The city covers a total area of 269.8 square kilometers, 255.2 square kilometers of which are covered by land and about 14.6 square kilometers by water. Knoxville is divided into sections: the Downtown area, North Knoxville, South Knoxville, East Knoxville, and West Knoxville. The Downtown area is surrounded by the river on the south, the railroad tracks on the north, Second Creek on the west, and First Creek on the east. South Knoxville, in turn, includes the neighborhoods of Island Home Park, Vestal, Lindbergh Forest, Colonial Hills, and Old Sevier that are lying south of the river. North Knoxville contains mostly the regions lying north of Sharp's Ridge as the Fountain City and Inskip-Norwood areas. East Knoxville contains regions lying east of First Creek and the James White Parkway, and those are Parkridge, Burlington, Morningside, and Five Points. West Knoxville contains regions that are west of the areas west of U.T., and those are Bearden, Sequoyah Hills, West Hills, Cumberland Estates, Cedar Bluff, Westmoreland, Suburban Hills, Rocky Hill, and Ebenezer.